The Aubrey and Elizabeth Crowley house was erected between 1910 and 1915 on land belonging to Elizabeth (Tuff) Crowley's family in Ochre Pit Cove. Aubrey and Elizabeth lived in the house and raised their four children there. View of house and outbuildings. Aubrey and Elizabeth Crowley Property is an excellent example of an early 20th century outport dwelling, comprised of simple building forms and multiple outbuildings. This is a traditional two-storey biscuit box-style house with low-pitched roof and rectangular single-hung windows. The interior follows a typical Georgian floor plan, with a central hallway and four rooms per floor. The staircase and upper landing are generously proportioned. The back porch is a later addition. After the death of Elizabeth Crowley, her son William and his wife Maria lived there with Aubrey and raised five children. After William's death in 1946 his family moved away and Aubrey's son John (known as Jack) moved in to care for his father. Aubrey died in 1948, leaving the house to Jack. For four decades the house was home to John J. (Jack) Crowley, a man known and respected in the area. A schoolteacher and principal, returning officer, commissioner of oaths and marriages, Jack was a trusted man to whom people turned to for help with tax returns and other official business. Jack lived there as a bachelor until he died in 1984, leaving the house and land to his nephew Ernest, who did not occupy the house but kept it well maintained until September 2000 when he sold it to John Doyle and Sandra LeFort. A view of the front façade of the Aubrey and Elizabeth Crowley home. This two-storey biscuit-box style house has a low pitched roof and single-hung rectangular windows. The house itself exists in a traditional Newfoundland setting, with the fishing grounds as far as Baccalieu Island in clear view. It sits on an acre of land bordered on two sides by the sea, with a stable the same age as the house, and a large root cellar whose size suggests the extent of the family's vegetable garden. The property also features a low garage built circa 1950 which blends with the style of the house and other outbuildings. 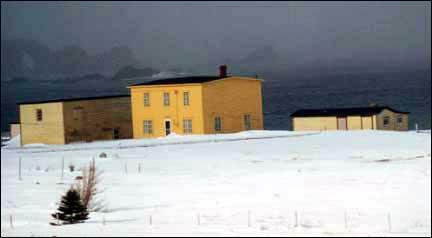 With its agricultural land and outbuildings, the Aubrey and Elizabeth Crowley Property illustrates the broad settlement pattern of the North Shore of Conception Bay in the late 19th and early 20th century, that of families which derived their living from the sea but who also maintained substantial subsistence gardens and farm animals. 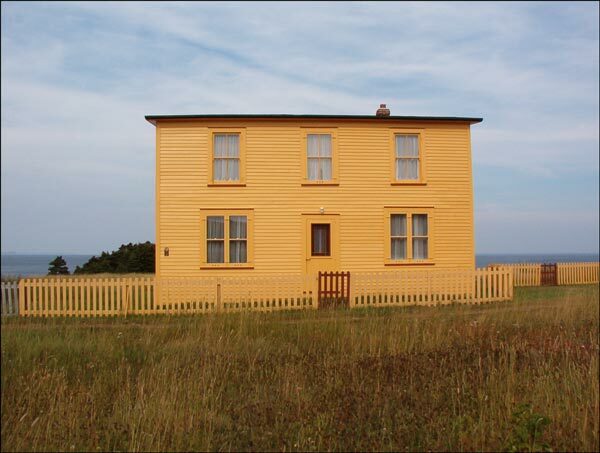 The Aubrey and Elizabeth Crowley Property was designated as a Registered Heritage Structure by the Heritage Foundation of Newfoundland and Labrador on March 31, 2001. Also view the Aubrey and Elizabeth Crowley Property Registered Heritage Structure on the Heritage Foundation of Newfoundland and Labrador web site. The Newfoundland and Labrador Heritage Web Site has on its site only a portion of the registered heritage structures in Newfoundland and Labrador. To view a complete list or search for a particular structure visit the Heritage Foundation's Property Search page.